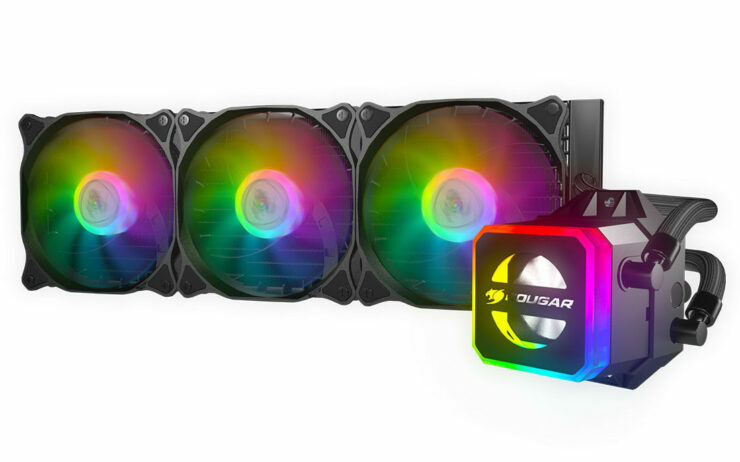 You will have access to over 100 different lighting effects with two ways to control your RGB. The Helor includes a Core Box V2 and a remote control. 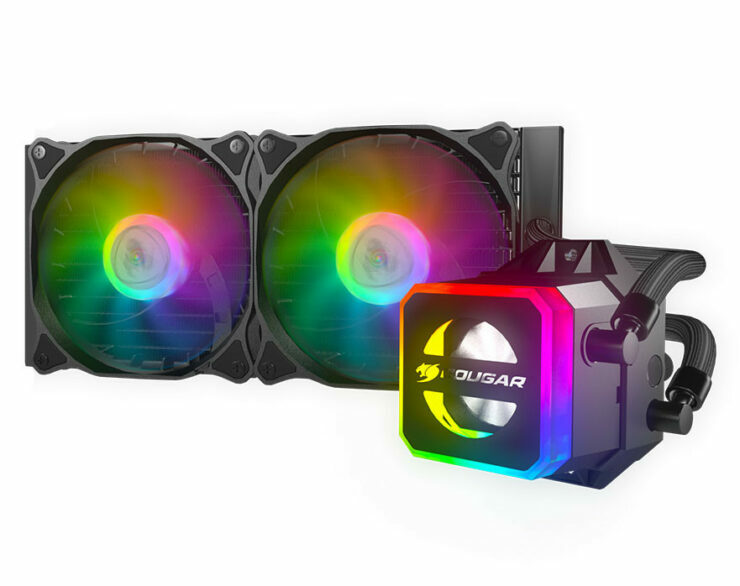 You will be able to enjoy system-wide RGB through the 3-pin 5v RGB motherboard synchronization. Those with older 4 pin 12V non addressable RGB will have to use the Core Box V2 so keep this in mind before considering ordering it. 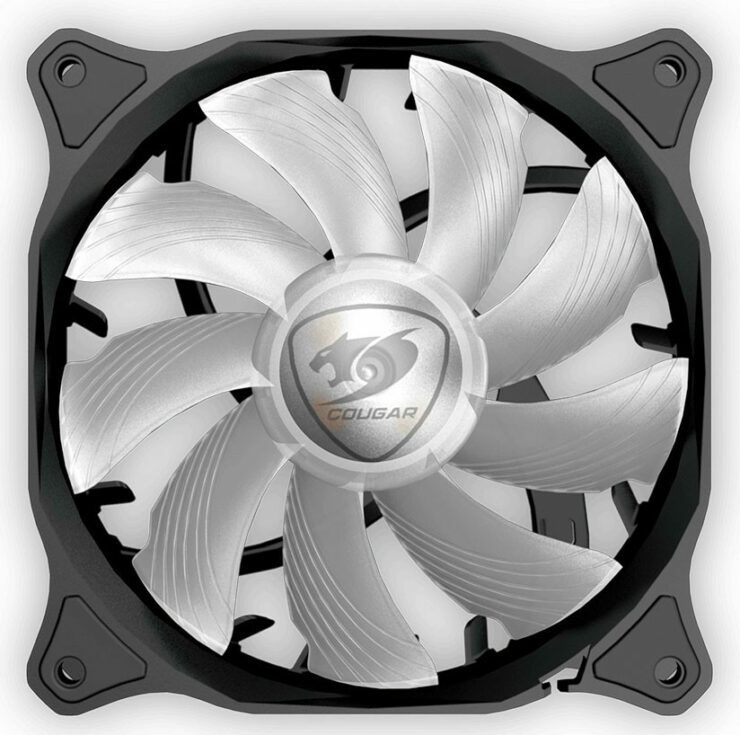 The Cooler appears to be an Asetek model, so standard fare aside from the RGB pump and their Vortex fans. Pricing here will be key to see how it fits into the market with stiff competition from brands like Cooler Master, Corsair and NZXT though the ability to plug it into the 3-pin header and sync with the rest of your system is a nice option compared to the NZXT models. Edit: We have been informed it is not an Asetek model, and will update who makes the cooler once we get confirmation from Cougar. 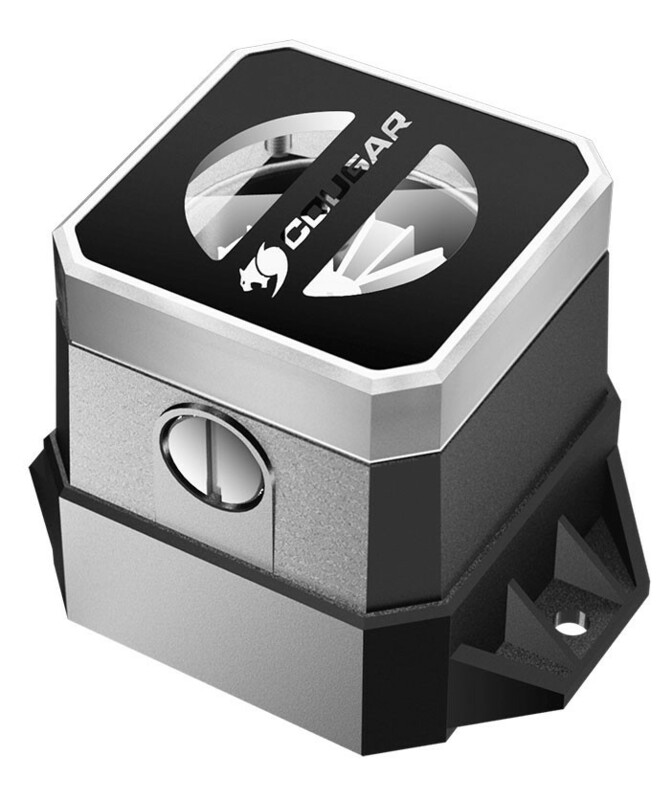 Cougar has unfortunately not announced pricing though the Helor 240 and Helor 360 will be available towards the middle of December. Look forward to pricing and possibly a review when it releases.